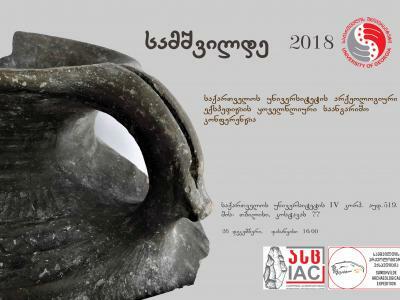 The annual conference of Samshvilde Archaeological Expediton will be held at the conference hall of the University of Georgia on Dec. 26, at 16:00. - Conservation of Metal Arthefacts. - Studies of Obsidian Stone Industry. The Resutls of Archaeological survay at the Kazreti Ortvala Cave complex will be also presented by IAC.